What is Medical Billing and Coding ? Although medical billing and coding are often used synonymously they are actually two very different careers that happen to share a cause and effect relationship. The two are better understood when addressed separately. Medical coders: These are individuals who read medical charts, extract pertinent information, and assigns medical codes to each piece of information. Once the record is fully coded the process moves from the medical coder to the medical biller. Medical billers: These are individuals who take the assigned medical codes and correctly populate them into a medical claim form. They then submits the claim form to the insurance company, appeal any denials, and collect payments made by both patients and insurance companies. Billing and coding can be combined into one duty, but are often divided. Even when divided they continue to share a cause and effect relationship. This means that the decisions of the medical coder directly affects the medical biller and vice versa. An example of this is when a medical coder selects an incorrect CPT or ICD-9 code. The medical biller will be given this code and will then submit it to the insurance company. As a result the claim will be denied causing the medical biller to submit an appeal. What does a medical coder need to know? What type of education is required to become a medical coder? How can I prepare for the certification examination? What are the career options for a medical coder? What is the average salary of a medical coder? What does a medical biller need to know? What type of education is required to become a medical biller? 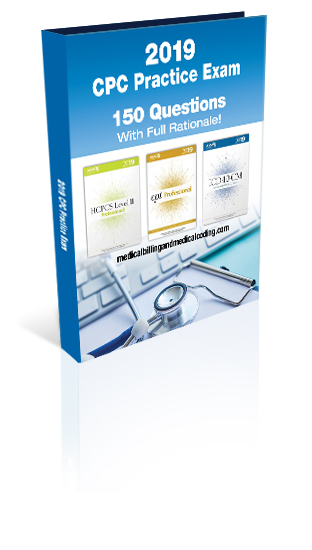 Where can I obtain medical billing education? What are the career options for a medical biller? What is the average salary of a medical biller? The cycle of operations is also known as the billing cycle. It is important to understand this cycle in order to have a clear understanding of what a medical biller and medical coder each do. Although some smaller practices might combine both the billing and coding duties into one responsibility, they are often divided. Because of the cause and effect relationship medical billing and medical coding share it is good for a coder to have a basic knowledge of the billing process and for a biller to have a basic knowledge of the coding process. It is not necessary to have an extensive knowledge of both medical billing and coding though. When beginning a career in these fields it is best to choose one area of expertise and focus on it. Once you have become an expert medical coder or an expert medical biller you will find that knowledge of the other comes more easily and that expertise in both is not always necessary. "I have been in the medical billing and coding industry for ten years and have been certified for the last five. WOW! What a difference certification makes! The doors to my career options, income, and recognition have flung wide open!" Gaining experience can be one of the hardest accomplishments in the journey of a new medical biller or coder. Most employers will not hire without a certification and many prefer experience. This is particularly true in medical billing and coding because it directly effects the money flow. TIPS: ~ Take an entry level position if it's offered ~ Contemplate joining an intern or extern program ~Search non-traditional employers like car insurance agencies and law offices. ~ Network; Local chapter meetings are a great place to hear about "unlisted" positions that are available. Although billing and coding are both legitimate and rewarding careers it seems that lately they have earned some unwanted attention. Some individuals seek billing and coding certification with the sole purpose of working from home. While this is a great goal we caution individuals who wish to enter the medical billing and coding fields simply based upon this. While work from home coding and billing jobs do exist they are harder to find and extremely competitive. Many organizations prey upon the aspirations of others promising easy employment or the ability to start your own home based business. Most individuals making such claims usually have a medical billing or coding software or education package to sell as well. Starting a home based business is certainly possible, and can be very successful. However, such a venture does take more than certification. Real world experience is highly sought after and is absolutely essential to win a physician's business. Upon obtaining a medical billing and coding certification individuals are encouraged to gain as much experience as they can. This coupled with your certification will prove to be priceless. Our 150 question CPC practice exam is now updated for 2019. This CPC Practice Exam was created to emulate the AAPC's CPC Exam as closely as possible and is available for only $37.00. Find out how the ICD-10 affects the medical billing and coding fields. Don't know what the ICD-10 is? Find that out too! There are many types of certification you can obtain in the medical billing and coding fields. It is important to know that all certifications are not created equal. The biggest thing right now in medical billing and coding is working from home. What's the truth about these work from home jobs though? What kind of salary can you earn? Continuing education units (CUEs) are typically required once a billing or coding certification is obtained. Then why not use the button below and add us to your favorite bookmarking service?